Are you happy or sad that Amazon.com bypassed Providence for its HQ2 plans? 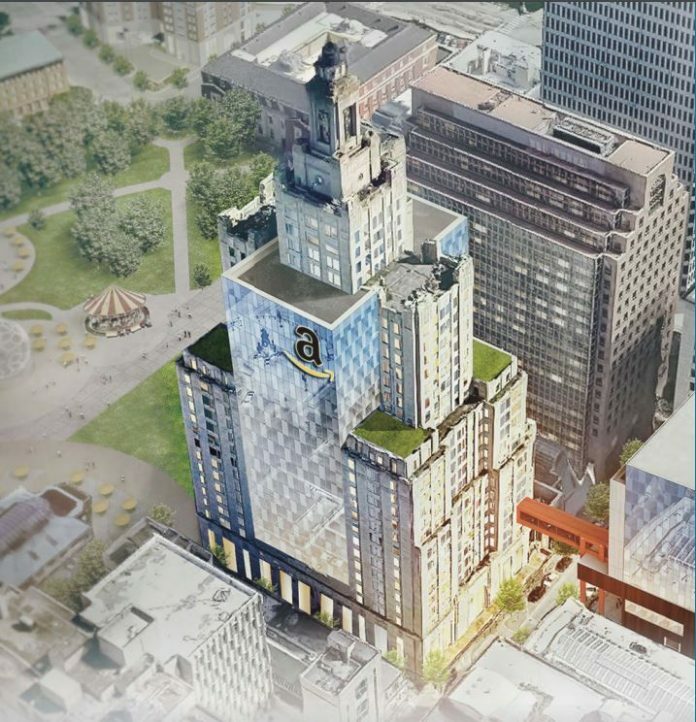 WHILE IT DID NOT get the nod as one of the two cities chosen by Amazon.com for its HQ2 project, Providence did make a bid, which included this rendering of a glass-laden Superman Building as part of the pitch. / COURTESY R.I. COMMERCE CORP.